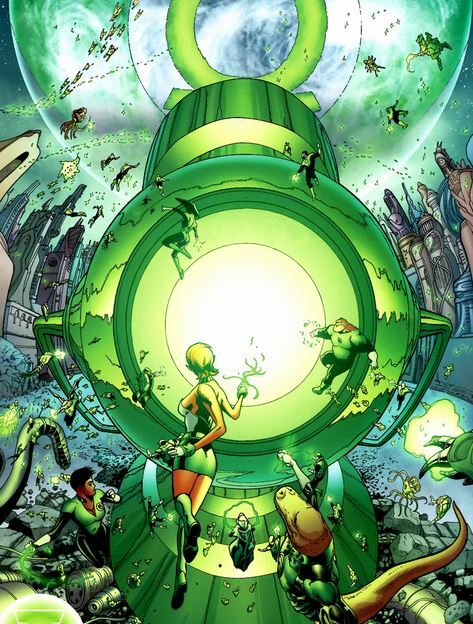 Witness the return of the Green Lantern Main Power Battery and the celebratory flight of Green Lanterns surrounding it. 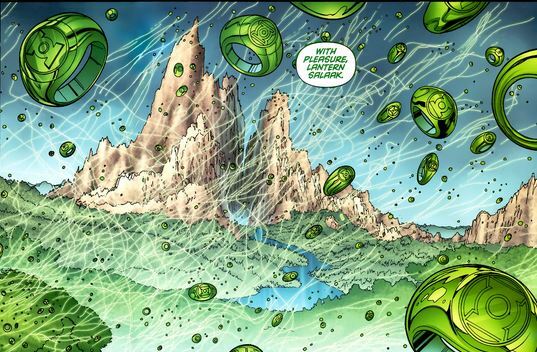 A memorial is also made to the Green Lantern fallen during Blackest Night. 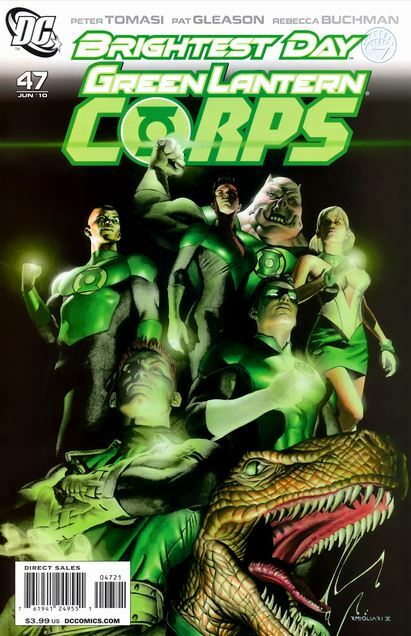 Rings with no owners are then set free to pick new wielders and replenish the Corps. 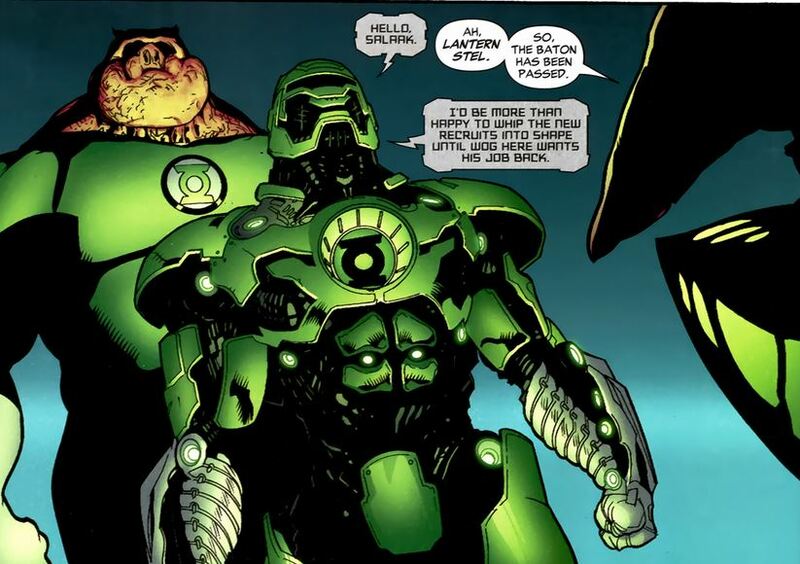 In another new turn of events, Kilowog relinquishes his role as Green Lantern drill sergeant, ceding his position to Green Lantern Stel. 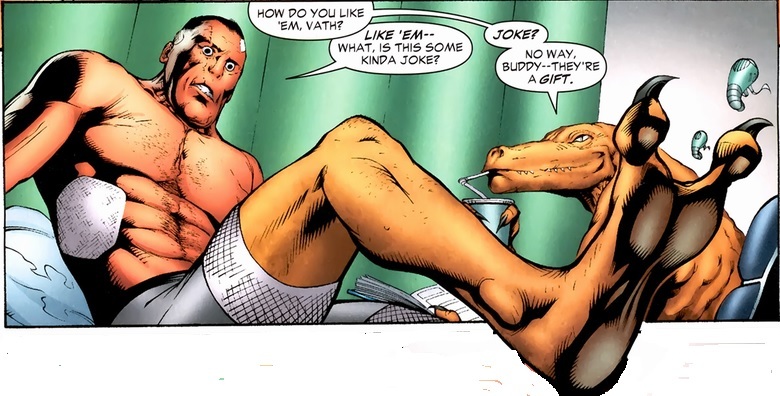 The most bizarre episode in the issue is when Isamot 'gifts' Vath with his legs. Reading this was an emotional rollercoaster for me. The new legs are reptilian so Vath is understandably less than thrilled. But Isamot cut off his own legs to graph it to Vath (Isamot will eventually be able to regenerate new legs), so it is a selfless gift that earns Isamot an undeserved punch in the face. It's a hard read as Vath initially rejects the gift and there is poor legless Isamot not getting the reaction he hoped for. Thankfully, things simmer down to a grudging acceptance from Vath. Back to our rebuilding checklist. 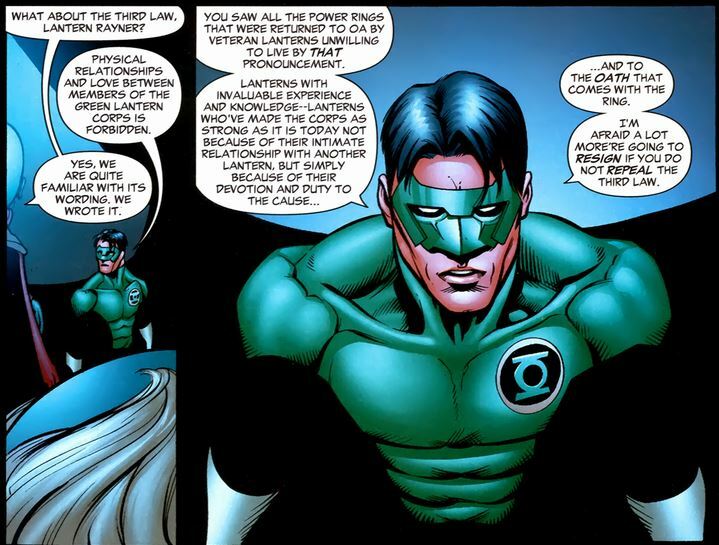 Next item, give a Guardian a slap in the face for all the things that the Guardians did and failed to do during Blackest Night. 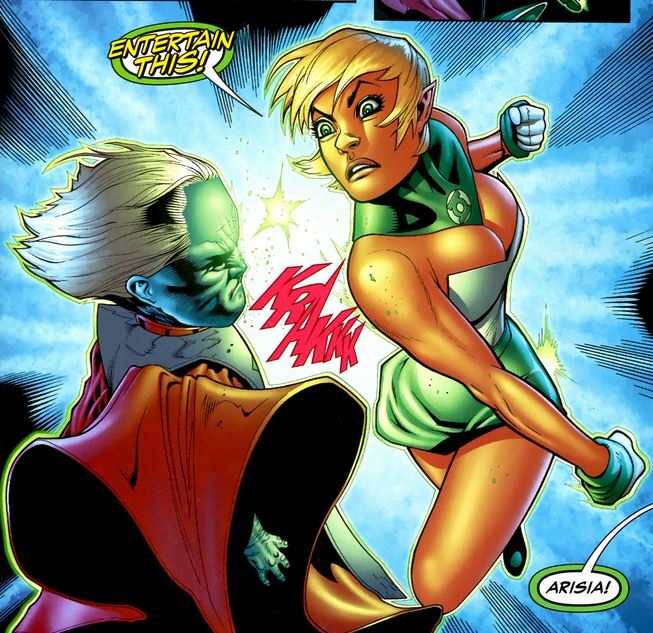 Kudos to the Guardians because Arisia did not get kicked out of the Corps, she didn't even get punished. Plus the Guardians hear this appeal. And there you have it. Oa is on the mend.